This Christmas, even Santa will be turning to gift cards! Find Five gift cards that top Santa’s list of stocking stuffers. 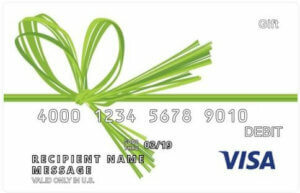 Buy gift cards to popular stores and restaurants for the holidays. Though Transformers, Ninja Turtles, Frozen toys, and Furbys (yet again) are sure to be found under the tree, gift cards are this season’s hottest stocking stuffers. Available in modest dollar amounts, suitable for a variety of tastes, and perfectly sized for stockings, gift cards will be decking the halls this holiday season. Though some people like to give big presents in stockings, most people I know get smaller items in their Christmas stockings from Santa Claus. I think Santa prefers to give gift cards that are usable in smaller amounts, like $5 or $10 or $20. 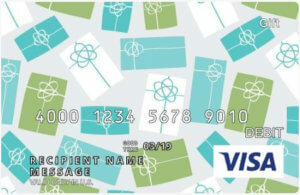 But even though the amount is lower, the card should still be usable without requiring the recipient to pitch in his or her own money. For this reason, here are my picks for gift cards that make the best stocking stuffers. 1. iTunes and Apps gift cards. Buy iTunes gift cards, Spotify gift cards or Google Play gift cards. With the average cost of movies closing in on 8 dollars (it’s double that in my town! ), movie tickets are welcome gifts for kids and families. 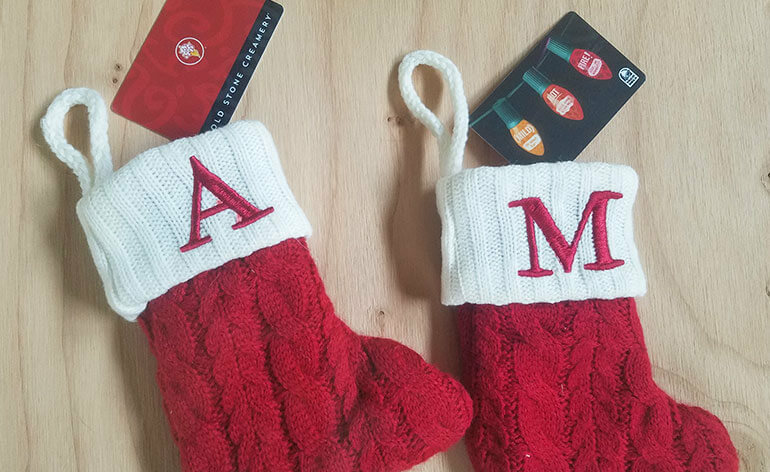 Regal Cinemas, AMC Theaters, and Cinemark Movie gift cards also make great stocking stuffers. But if you aren’t sure what movie theaters are located near the recipient, choose a Fandango gift card that can be redeemed almost anywhere. Buy Fandango gift cards, Regal gift cards or AMC Theatres gift cards. 3. Starbucks gift cards or Jamba Juice. No longer just an adult treat, kids love the decadent hot chocolate, fruit-blended smoothies, and other milkshake-like drinks available at Starbucks. They also love a good smoothie from Jamba Juice. What I love is that a five dollar gift card is enough money to buy a drink. A 20 dollar gift card could buy several. Buy Peet’s Coffee gift cards, Starbucks gift cards or Jamba Juice gift cards. Here’s a Tip! 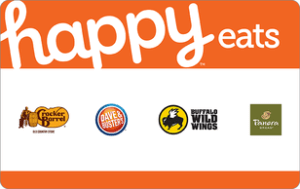 For a little more variety, try the Happy Bites gift card that is redeemable at Jamba Juice, Peet’s Coffee, Panera and some other places where you can grab a quick bite. 4. Cold Stone Creamery gift cards. Whether you choose a local ice cream parlor or a national chain, ice cream store gift cards make great stocking stuffers. 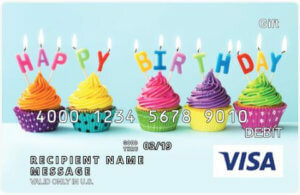 And you don’t have to put much money on the card to make it redeemable or the experience memorable. A ten dollar gift card is more than enough for a good brain freeze! 5. Target or Walmart gift cards. Both Target and Walmart carry a wide range of merchandise at all price points—including several items that can be purchased for less than 20 dollars. Kids who didn’t get what they hoped for under the tree, can use these stocking stuffer gift cards to make up for Santa’s misstep. What Other Gift Cards Work for Stocking Stuffers? Since gift cards are repeatedly the most requested gift on holiday wish lists, Santa’s sleigh should be getting lighter and lighter every year. Available in budget-friendly dollar amounts, pleasing to nearly all kids on the “nice list,” and certainly less messy than sugar plums, gift cards make perfect stocking stuffers for Christmas. What other gift cards do you think fit the criteria for going into Christmas stockings? If you have a favorite gift card that I didn’t include, let me know in the comments below or reach out to me on Twitter (@GCGirlfriend). With so many gift cards to choose from, maybe others will want to hear what you have to say.